Would you like to find out more about St Helens Mind? Would you be interested in visiting our Crownway Community Group to meet the team? 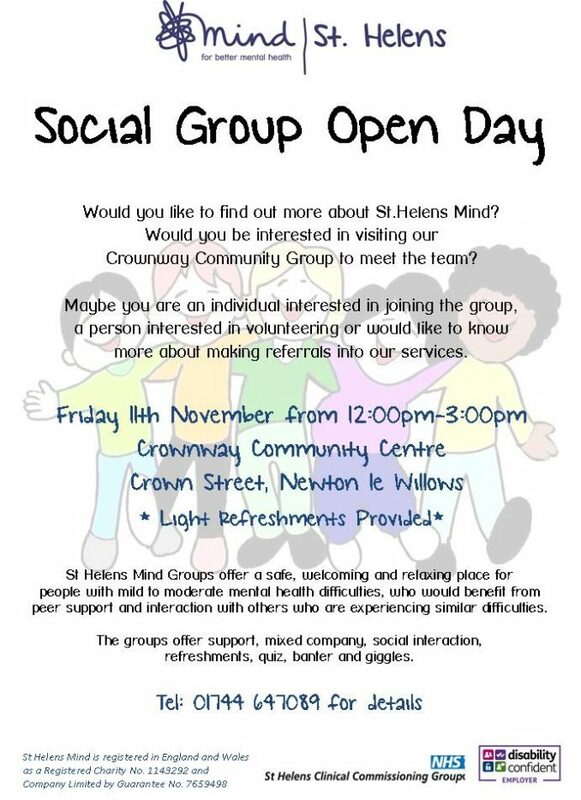 St Helens Mind Groups offer a safe, welcoming and relaxing place for people with mild to moderate mental health difficulties, who would benefit from peer support and interaction with others who are experiencing similar difficulties. The groups offer support, mixed company, social interaction, refreshments, quizzes, banter and giggles. Come along and find out more, or call 01744 647089 for details.